Everyone knows sugar is bad for your teeth. Most people realize that sugar causes cavities, but many people don't understand the mechanics of it. Sometimes knowing how something happens helps you to prevent it. Cavities are no exception. Knowing how sugar can destroy your teeth will help you get a handle on what you can do to discourage the process. How Does Sugar Hurt Your Teeth? Your mouth is full of bacteria, some of it good, some of it bad. The bad bacteria are what pairs with sugar to begin the cavity-causing process. 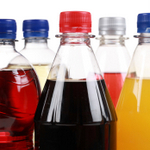 When you eat sugary foods or drink sugary beverages, the sugar remains on your teeth. The bad bacteria in your mouth attack the sugar and converts it to acid. The acid, then slowly starts to eat away at the enamel on your teeth. The enamel is a hard substance that protects your teeth. When the enamel gets eaten away your teeth begin to break down and you get cavities. So, the obvious course of action is to quit eating sugary foods and drinking sweet beverages. But you can also take steps to mitigate the damage the sugar does by taking steps to neutralize the acid created by the bacteria. What Can I Do to Neutralize the Sugar Effect? There are a couple of things you can do to neutralize the effect of the sugar. One of the simplest is to limit eating sugary snacks to the end of a meal - treating them like dessert in other words. This will limit your exposure to the sugar because you aren't eating it all day long. As an added bonus, if you brush after every meal, you will brush the sugar away. Another step you can take is to drink a glass of milk or water after eating sugary or starchy snacks. The milk will neutralize the acid in your mouth. Drinking fluoridated water can also help your teeth and if you drink it after meals, you will rinse away your problem. Please contact our office if you have any questions about sugars effects on your smile.